Just Romantic Suspense: Dance through history . . .
Dance through history . . . Inspired by her own experience on the dance floor, historical romance author Gail Ingis explores the history of ballroom dancing. Once we were on the dance floor, I began to wonder about the history of ballroom dancing. Dance history is difficult to access because dance does not often leave behind clearly identifiable physical artifacts that last over millennia, such as stone tools, hunting implements or cave paintings. It is not possible to identify with exact precision when dance became part of human culture. I suspect millenniums. We do know early dance, like 18th century sequence ballroom dancing in Jane Austen's world, was used as a method of healing and expression. That has not changed. Modern ballroom dance has its roots early in the 20th century, when several different things happened during and after World War I. The first was a movement away from the sequence dances toward dances where the couples moved independently. This was foreshadowed by the waltz which had already made this transition. The second was a wave of popular music that led to a burst of invented dances. The third event was a concerted effort to transform some of the dance crazes into dances which could be taught to a wider dance public in the US and Europe. Here Vernon and Irene Castle were important, and so was a generation of English dancers in the 1920s. These professionals analyzed, codified, published and taught a number of standard dances. It was essential, if popular dance was to flourish, for dancers to have some basic movements they could confidently perform with any partner they might meet. Here the Arthur Murray organization in America, and the dance societies in England, such as the Imperial Society of Teachers of Dancing, were influential. Later, in the 1930s, the on-screen dance pairing of Fred Astaire and Ginger Rogers influenced all forms of dance in the USA and elsewhere. Much of their work portrayed social dancing, although the performances were highly choreographed, meticulously staged and rehearsed. Ballroom dance may refer to almost any type of partner dancing as recreation. 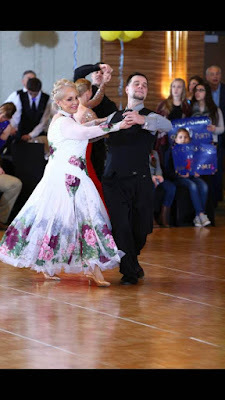 However, with the emergence of dancesport in modern times, the term has become narrower in scope, and traditionally refers to the International Standard and International Latin style dances. 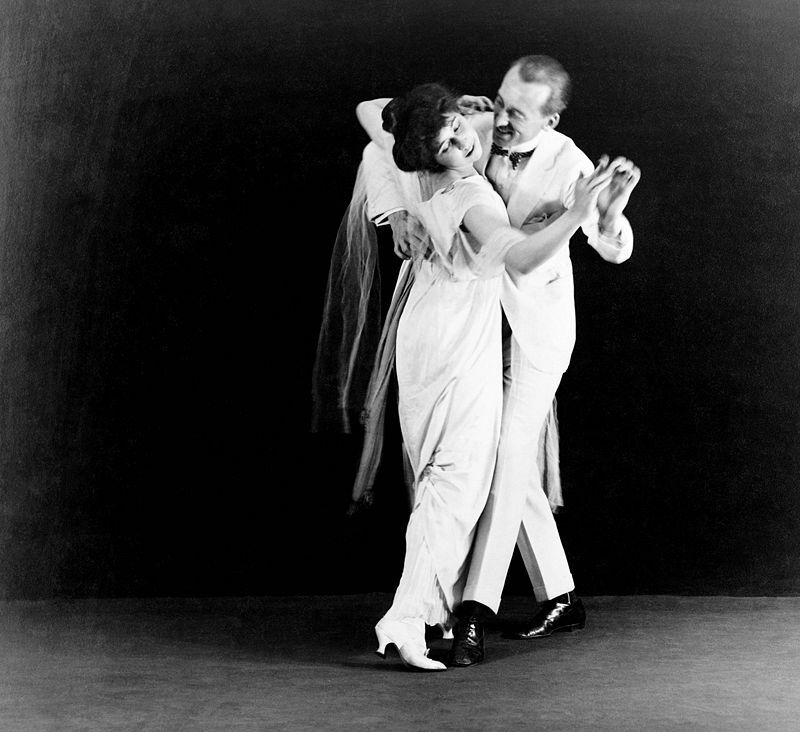 The styles, while differing in technique, rhythm and costumes, exemplify core elements of ballroom dancing such as control and cohesiveness. There are variations that are popular: American Smooth and American Rhythm which combine elements of both traditional Latin and Ballroom dances. Other styles I love: Swing, one of my favorites, and the Waltz, it’s so dreamy. My husband and I dance three days a week—private, practice and group. It’s amazing exercise and we’ve made wonderful friends. I should have known that stepping out onto the dance floor would have triggered my curiosity. I guess that’s the author and artist in me? Gail Ingis writes historical romance, loves history and romance, of course. Her weekly blog frequently covers historical content. A native of Brooklyn, New York, Gail’s early days began and ended with writing, drawing and music. Her inspiration to write came from books gifted to her by an aunt. But life had other ideas. After graduating from the New York School of Interior Design with a BFA in Interior Architecture and Design and with master’s studies in Architecture and Design Criticism at The New School (Parsons), she worked in interior design and architecture, and founded a school of Interior Design. Twice asked by publishers to write a textbook, her efforts were thwarted by a heavy schedule. She resides in Connecticut with her scientist-writer husband. She and her husband love to travel and have been swept up into ballroom dancing, a recent commitment. Currently, she sits on Lockwood-Mathews Mansion Museum Board of Trustees, and serves as the curator of art exhibitions. Prior to her debut as an author, she illustrated a book for Deborah Galiley, "Seeking Paradise" that can be found on Amazon. As a professional artist, her paintings are an extension of her illustration work in design. Gail spent her youth dallying in Coney Island that inspired her latest painting project for her 2016 show in the museum. She is a member of the Connecticut Chapter of Romance Writer’s of America. In a whirlwind romance, a lovely New York socialite marries a fêted, debonair author. But beneath the charm is a cheating husband addicted to hashish. Her dream marriage turns sour and the simplicity of her life runs amok when a handsome stranger, her husband’s business partner, threatens her staunch loyalty to her wayward husband. When she faces the ugly truth about her marriage, her need to finalize her divorce sends her on mad chase across the wilds of nineteenth century America with a handsome stranger where she learns the hard lessons of murder, kidnapping, and more, that almost destroy her. 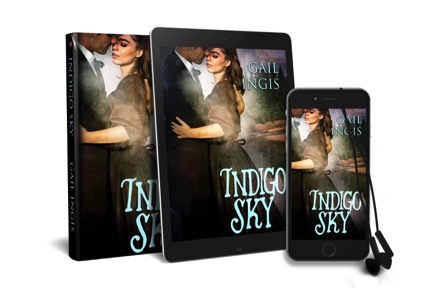 One lucky reader leaving a comment or email entry will win an e-copy of INDIGO SKY. Giveaway ends 11:59pm EST April 20th. Please supply your email in the post. You may use spaces or full text for security. (ex. jsmith at gmail dot com) If you do not wish to supply your email, or have trouble posting, please email maureen@justromanticsuspense.com with a subject title of JRS GIVEAWAY to be entered in the current giveaway. Janice - I'm so sorry to hear about your husband, but I'm glad you are still finding a way to enjoy music. It sounds like you've experienced music and dance in many forms, as have I. Thanks for taking time to comment on my post and leave a message. Take care! I hope you enjoyed learning about dance and my book. Thanks so much for visiting the blog. Thank you for an interesting post on dance. I know the progression, but never really thought about it. I love to waltz. Unfortunately, my husband and I can't seem to dance together. He has taken lessons, but it seems I have a tendency to try and lead. Only once, at our daughter's wedding, did we actually get in sync and float across the dance floor like we should. We were both pleasantly shocked. It only lasted the one dance, but it was nice. We keep talking about taking dance lessons together and I hope we manage to do it. We have tried contra dancing, but he didn't like it. I loved it. We did do some Scottish set dances at a Celtic festival. We did well and he enjoyed it. It was a smaller group and mostly sets of 4 or 8 rather than long lines of dancers.